Sarah I' and Rachel T' both win Gold for their age categories at the Castle Bowmen annual Easter shoot. 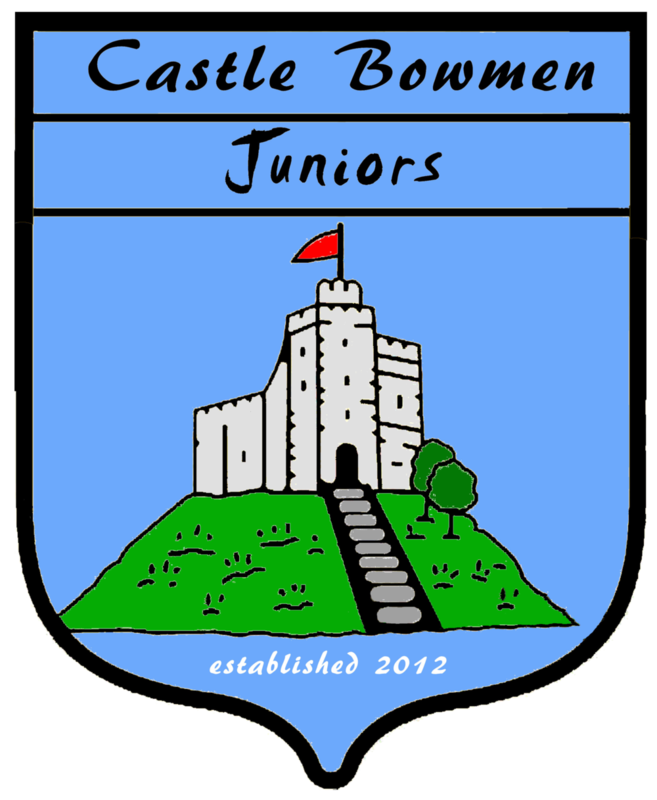 Congratulations to our Junior Club for giving Castle Bowmen 3 more County Champions at the recent Glamorgan Junior Indoor Championships held at a club in the west of Cardiff. Sarah I’, Rachel T’ and Owen C’ all won their respective age categories to take home all the Gold and titles of Glamorgan County Champions. Congratulations goes to Candice L’ for becoming the clubs first Junior Master Bowman. She completed her 3rd official classification score in a very wet and windy tournament in Devon, at Exmouth Archers Premier event. Despite the terrible conditions she came away with 1st place and Gold in her category and also with the all important final score needed to become Master Bowmen. Well done to Candice L’ for winning Gold in her category at the Neath Open Tournament, and also breaking a Glamorgan record. The 4th Annual Castle Bowmen ‘Val Goodman’ Junior May Metrics Tournament was a great success, gaining praise from judges and archers alike. In no small part adding to the day was the excellent sunny weather throughout the whole event and the ultra-efficiency of the Castle Bowmen working party in the running and organising of the day. The May Metrics tournament is the only one in Wales held annually which is exclusively for Junior archers to shoot a 12 dozen round. This year nearly 2 dozen of Wales’ finest young archers, from nearly 3 counties, travelled to Cardiff to compete. Castle Bowmen Juniors were out in force and performed flawlessly. Ryan P’, Luke Y’, Sarah I’, Geoffrey C and Candice L’ ALL shot Seasons and Personal Best’s and all took 1st place in their respective categories and ALL broke the club records for their rounds too. Candice, shooting in her first tournament also claimed a new Glamorgan County record. As did Geoffrey, also shooting in his first tournament, claimed not only the county record but also broke the existing Welsh record. Congratulations to Sarah I’ for winning Gold at the Junior Welsh Indoor Championships in West Wales, her 2nd Welsh Champion title of the year after winning at the Outdoor Welsh Championships back in the Summer.